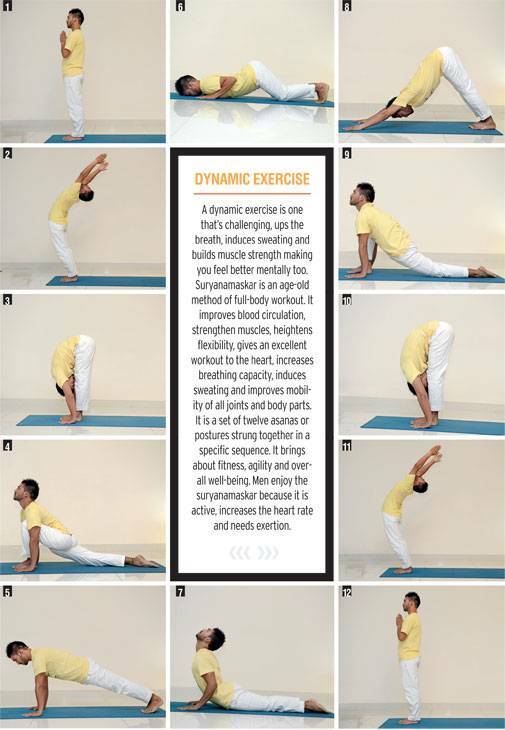 Through generations, yoga has come to the rescue with its time-tested methods. Yoga has offered solace and comfort, and a path to fitness and well-being. The modern man needs all the help he can get. Squeezing in multiple responsibilities into a meagre 18 hours can be draining. Each day is a chaotic schedule of dropping the kids off at school, pulling off deadlines, driving through interminable traffic snarls and dealing with a tricky boss and colleagues. Effectively, he is Superman, but without any superpowers. When and how does he take care of his health? How does he get rid of accumulated mental and physical tension? How can he develop some peace of mind? Is it possible for him to lend himself some focus, balance, harmony, and happiness? Yoga has helped mankind for over five thousand years. Through generations, it has come to the rescue with its time-tested methods. Yoga has offered solace and comfort, and a path to fitness and well-being. Here's what you should know to reap its benefits. The shoulder Stand or Sarvangasana is beneficial in reducing stress, improving heart function and getting more blood circulation and oxygen to the brain. It also stimulates the thyroid gland. The Sitting Forward Bend or Paschimottanasana gives a good stretch to the spine and helps to reduce tension in the back muscles built over prolonged hours of sitting. It also helps stimulate abdominal organs, which help in digestion. The Bow, or Dhanurasana, gives a full workout to the back, from the neck to the tailbone, relieving and preempting back pain and. It also massages the abdominal organs and reduces belly fat. The Spinal Twist or Ardhmatsyendra asana helps to stimulate all abdominal organs, specifically the prostate gland in men. By giving a rare lateral twist to the spine, it tones the back muscles while keeping the spine steady. The Triangle or Trikonasana is a lateral bend, completing five different spinal movements, each of which provide in totality, a full and complete workout for the spine and all organs. It increases mental and physical equilibrium. 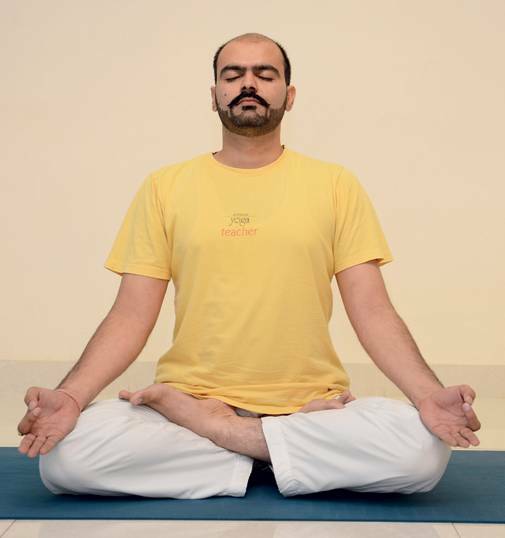 Instead of recouping after a hectic week by resting through the day, opt for pranayama. For boundless energy, try yogic breath, kapalabhati and alternate nostril breathing during dawn and dusk . A 15-minute practice is sufficient, but it needs to be learnt properly over a period of a few weeks from a trained yoga teacher to stretch it to 30 minutes. Meditation, or dhyana, is a very beneficial practice. Traditionally, meditation has been an anchor to find peace, calm, balance and focus in a chaotic world. It helps balance the logical and intuitive side of a man's brain, and reduces anger, annoyance, worry and fear. Meditation is an antidote for modern illnesses such as blood pressure and insomnia. Savasana or yogic relaxation is an antidote to stress. When the body is relaxed and the mind is free from tension, you take good decisions and have a calmer approach to daily challenges. Deep, guided, systematic, step-by-step relaxation gives complete rest to the heart, brain and the digestive system. This, in turn, induces better sleep and makes you feel energetic. It's a simple, uncomplicated practice, which gives instant results and you don't need to spend a lot of time on it. This is modern man's new frontier - the ancient practice of yoga. For someone who has very little time or space, any of the above techniques can be practiced independently, in combination or in totality. This is the way to great health and well-being. As Swami Sivananda, one of modern India's leading spiritual masters said, yoga has the power to transform a man to a superman. His world-famous student, Swami Vishnudevananda declared "Health is wealth. Peace of mind is happiness. Yoga shows the way."